BMW has made some wonderful wagons, and a good many of those never made it to America. Some hero took an E39 540i Touring and did a full M5 engine swap, and it is currently for sale at Bring A Trailer. This is the longroof that my dreams are made of. While this isn’t exactly a true M5 wagon, the conversion is probably the closest you are going to get to the real deal. The original owner swapped the M5's V8 with a six-speed manual into a 2001 540i Touring. The dealer selling the car made some further improvements, such as brand new valve cover gaskets, VANOS seals, brake rotors and pads, both oil pan gaskets. While the brakes are 540i-spec, the wheels match the M5 of that era and the car sits on slightly lowered H&R springs. In addition to the mechanicals, various cosmetic fixes have been made to bring the car closer to showroom condition. The current bid for this lovely wagon sits at $22,500. Any guesses what a winning bid will be? For more details and pictures, check out Bring A Trailer. 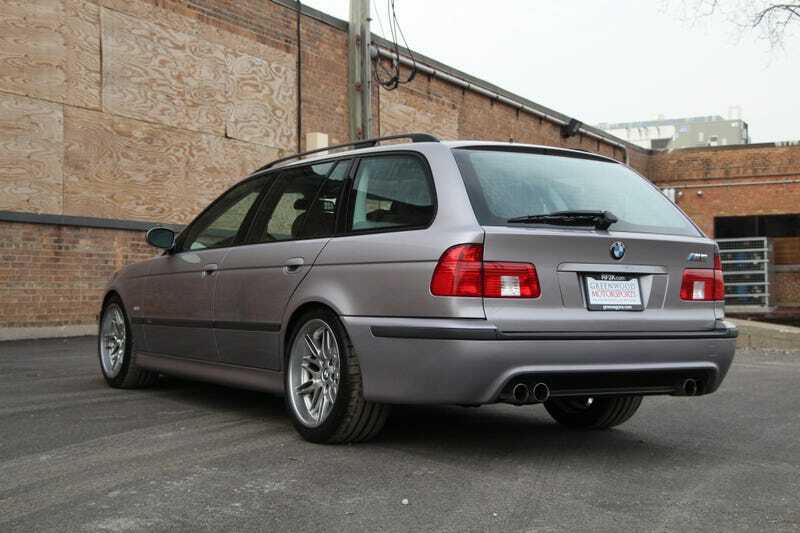 For $17,999, Is This 2003 BMW 540i Wagon Proof That It’s Better To Be Blown?